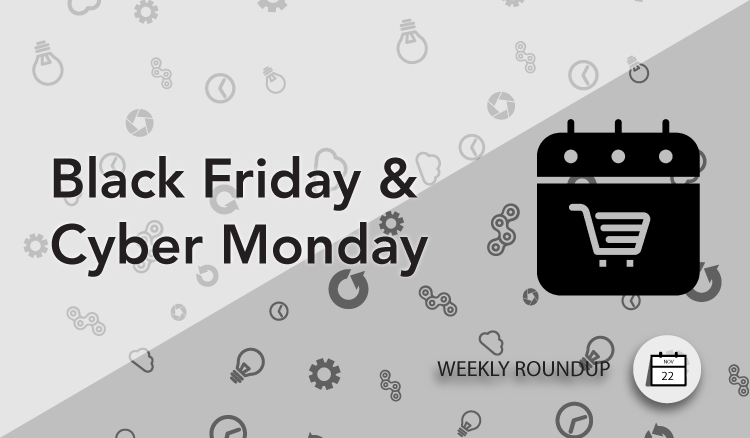 It’s game time, affiliate marketers: Black Friday and Cyber Monday are here. The two biggest shopping days of each year are upon us all, all wrapped up in countless predictions of significant increases in online spending. 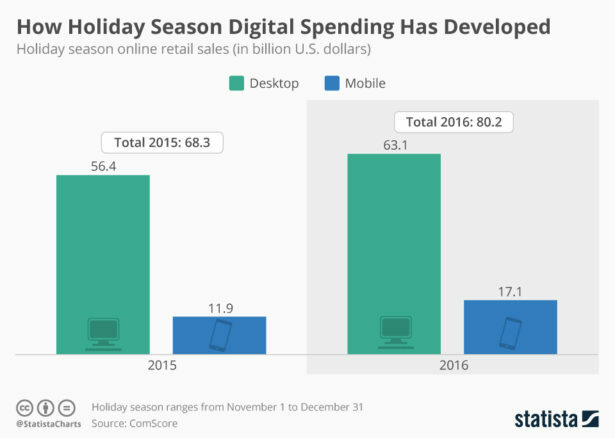 In fact, holiday ecomm sales grew a whopping 17% from 2015 to 2016, as illustrated in this excellent chart by Statista. Will the same trend continue this year? Absolutely, and with even more growth likely. With the promise of big sales to be had, there are a flurry of new affiliate programs launched just in time to capitalize on last-minute affiliate placements and promotions. Take a look at all of the brand new affiliate programs on AvantLink and best of luck during the upcoming days! Marley Spoon is the new way to cook. Delivering top quality fresh ingredients to homes and workplaces with a chef-designed 30 minute recipe, Marley Spoon simplifies weeknight cooking and helps busy people to skip the supermarket. Join the Marley Spoon affiliate program on AvantLink Australia. Join the ZQuiet affiliate program. The First Tactical affiliate program allows you to earn 7% commission on all sales that you generate. Simply send traffic from your website, emails, social pages, or anyplace you have traffic. Our affiliate platform allows you to track your clicks, sales, and commissions. First Tactical offers a complete line of the highest quality and best-selling tactical gear on the market. Join the First Tactical affiliate program. Become part of the Ridge Merino Company affiliate program. Developed by an outdoor apparel veteran, Ridge Merino’s mission is to develop high-quality, high-value Merino wool apparel that performs as well in daily life as it does in the wildest outdoor conditions. Our clothes are clean, simple, comfortable and chemical-free. Ridge items cost less than comparable high-end Merino wool products. Because we sell direct and eliminate the retailer, Ridge has no additional mark-up and lower overhead. Join the Ridge Merino affiliate program. At LALO Tactical, we honor those who choose a path of purpose, a path of hard work, grit and determination. Our company was founded to serve the needs of Special Operations Forces and NSW Operators. Our award-winning designers and developers have been creating innovative footwear for some of the world’s most popular brands for over 30 years. We use top tier materials to create some of the best and hardest working tactical boots and athletic footwear for those that rise to the toughest occasions. Join the LALO Tactical affiliate program. At roll: Bicycle Company we’re building the bikes and the company we always wanted. Backed by over a decade of loving, learning and wrenching on bikes in our shops every single day, we live our mantra, that ‘Bikes Change Lives’. By changing the way that people think about, experience, and buy bikes, we strive to inspire, and equip people to find their own ride. Designed by you, custom fit, built to order & shipped for free, all backed by our 50 Days to Ride guarantee. Join the roll:bicycle company affiliate program. JM4 Tactical is a rapidly growing brand in the gun industry. Designer of the patented Magnetic Quick, Click, & Carry holsters, JM4 Tactical provides conceal carriers with an easier, more convenient way to carry their firearm. Starting the company with only 1 product in March 2016 we’ve grown to having a full line of quality products from belts, wallets, holsters, mag pouches, apparel, and more all American-made in Texas. Except for a few select dealers across the USA, our products are only available to consumers via our website. Join the JM4 Tactical affiliate program. The LazyOne Affiliate Program is customized just like our pajamas; fun & innovative. Nestled in the Northern Rockies, LazyOne has been keeping folks feeling warm & fuzzy since 1999. Promote the comfiest sleepwear products for the entire family (dog included) by placing advertisements on your site and earn commissions. Join the LazyOne affiliate program.